Display the upcoming dates and times for Exeter, England, United Kingdom. The space station looks like an airplane or a very bright star moving across the sky, except it doesn���t have flashing lights or change direction. It will also be moving considerably faster than a typical airplane (airplanes generally fly at about 600 miles per hour; the space station flies at 17,500 miles per hour). Time��is when the sighting opportunity will begin in your local time zone. All sightings will occur within a few hours before or after sunrise or sunset. 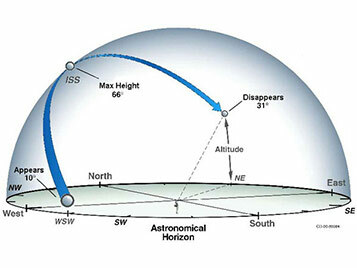 This is the optimum viewing period as the sun reflects off the space station and contrasts against the darker sky. 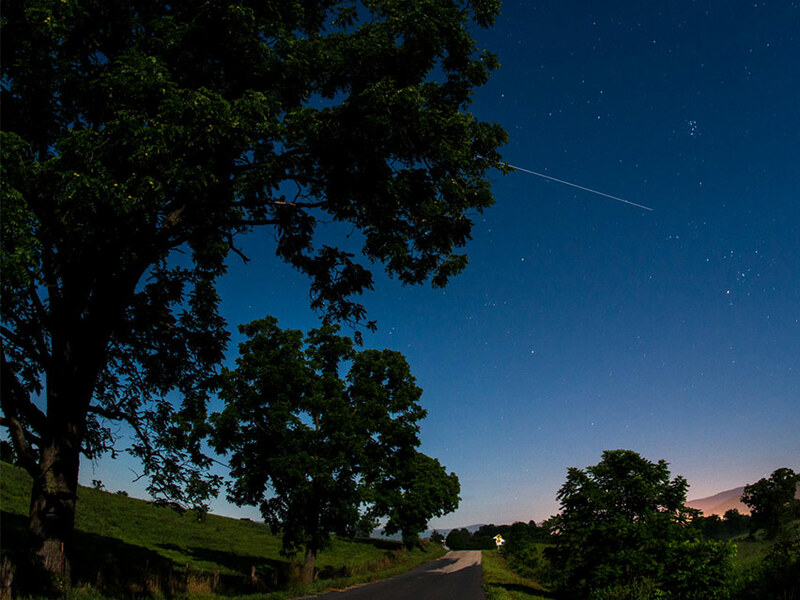 Visible��is the maximum time period the space station is visible before crossing back below the horizon. Max Height��is measured in degrees (also known as elevation). It represents the height of the space station from the horizon in the night sky. The horizon is at zero degrees, and directly overhead is ninety degrees. If you hold your fist at arm���s length and place your fist resting on the horizon, the top will be about 10 degrees.